UPDATE #1: There are fewer than 10 early bird spots left and the price will increase from $40 to $47 when the early bird spots are gone or by Sun. Nov. 25th (whichever comes first). To be fair to those who want to join in and are ready to make payment, I’ll be removing those that haven’t paid by Sun. Nov. 18th. Make payment to lock in the early bird price and your spot (see the “Payment” section of the event posting). If you’ve already made payment, the PayPal email you received is confirmation that we’ve received your payment (no need to message me asking for ticket confirmation). This UPDATE has been emailed to the yes RSVPs. I hope to see you there! 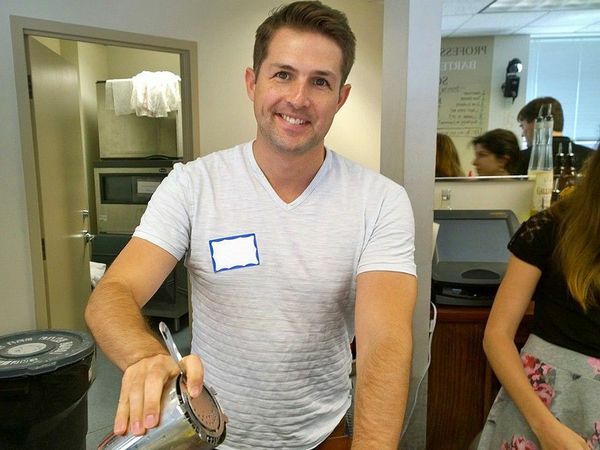 Some of you know I bartended at Ultrabar (1000+ person bar / club) every weekend for fun for the longest time (see me flair-tending at the 27 second mark of this video… https://youtu.be/Ff5x99aKyc8?t=27s ). We’ll each get $150 credit we can use towards their full certification course. Please make sure to mention you were referred by the 20s & 30s Going Out Group to get the course discount! As soon as we walk into the school, we’ll find it hard to believe that we are not in a real bar. The school is designed as a real bar. 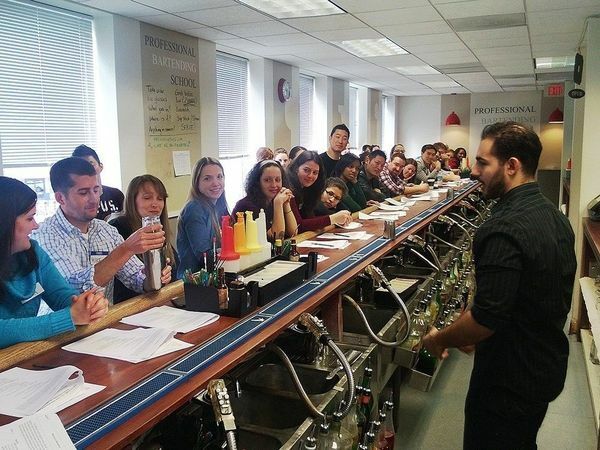 Whether we are a beginner or an experienced bartender, this course will help us gain a basic introductory insight into the exciting world of speakeasy edition bartending. 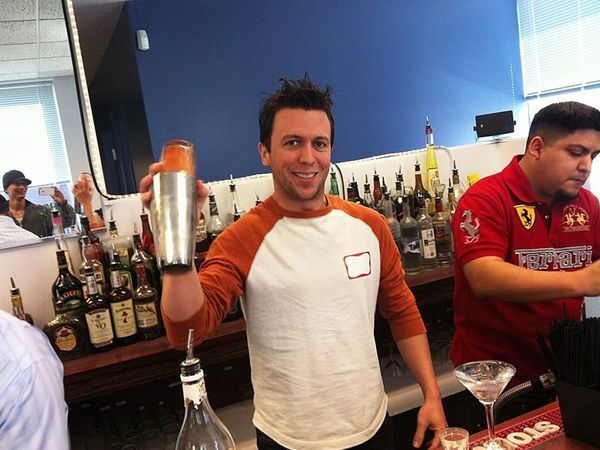 We are privileged to have Ty Burton, who has 15 years of direct bartending experience at some of the top bars, restaurants, and clubs from around the world, as our instructor. From Pure Lounge in Washington DC to the Vault in Addis Ababa, Ty brings a wealth of bartending experience to the table. She’s set up luxury lounges / clubs from the ground up; designing menus, hiring and training staff. 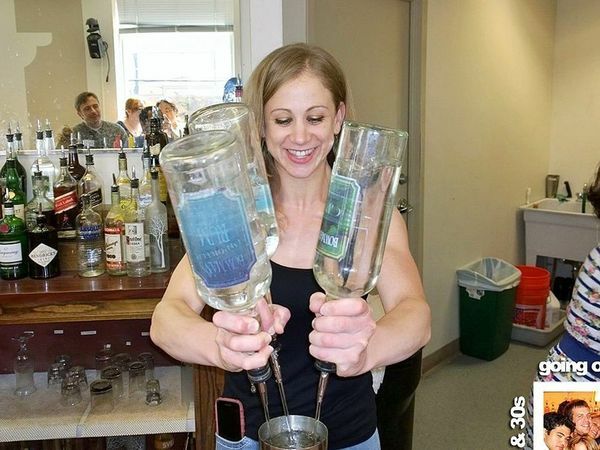 She’s teaches the afternoon and evening bartending classes during the week at the Professional Bartending School. (The school reserves the right to substitute instructors if needed). 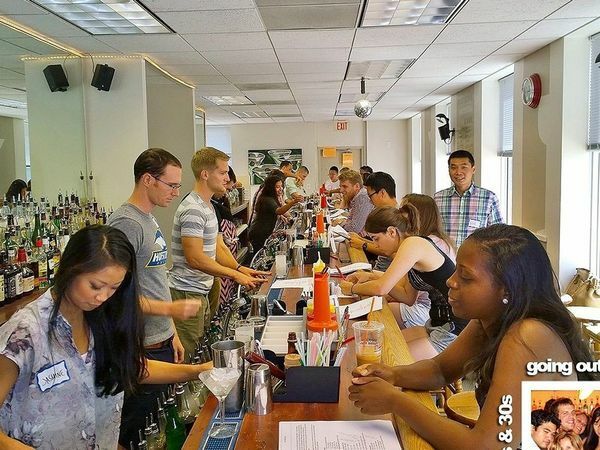 Our class consists of 1 – 2 hours of lessons, followed by 1 hour of hands on speakeasy edition bar training where we’ll step behind a bar to practice our new skills, tips on techniques, and most importantly, what it feels like on the other side of the bar. We’ve got an early bird special for this event of $40! The first 20 paid sign-ups, or those who pay by Sun. Nov. 25th (whichever comes first) get the early bird price! After that, the ticket price will go to $47. We have a LIMITED number of spots so make sure to RSVP early and make payment to get the early bird price! To make payment, please follow the steps in the Payment section of the event posting. Come join us, tell a friend, and let’s have a good time learning what it’s like to be a speakeasy edition bartender. I hope to see you there for this fun, informative, and interactive class! Please be on time. If you are late (arrive after the start time of 1pm), you risk the possibility of not being able to join us for some or all of the event. I will have a master list of all those that have paid. It’s not required, but I recommend printing out your payment confirmation email as a backup (if you are not on the list, you will be required to show it). When you check-in, your RSVP will be listed under the name of the PayPal or credit card account used to make payment. Typically, this is your LEGAL name as shown on your driver’s license. Sometimes, it may be under a company name if you set up your PayPal or credit card account that way. If you are not sure what it is, please log into your PayPal account (it will say “Welcome, [your account name]” at the top) or your credit card account to find out. If you are RSVP’d under someone else’s payment, please use that name for check-in. Similar to a concert ticket or a football game ticket, you are free to sell / transfer your ticket to someone else if you are unable to attend. I suggest posting in the comment box for the event, that you have a ticket for sale / transfer. Work out any payment between yourselves, and have the seller only send me (the organizer) a message through my Meetup profile (do not comment in the comment box of the event posting) letting me know the first AND last name, and Meetup profile link (if a member) of the person taking your spot (please also copy them on the message). To obtain their Meetup profile link, go to their profile from the mobile website or your computer (not the app), and copy & paste the link from your browser. I host a lot of events and groups, so please let me know the event name and group name the ticket transfer is for. You must let me know by the RSVP close time of 10am on the day of the event.